Japanese woman in kimono with traditional hairstyle doing “ikebana”, Japanese style flower arrangement. Early 20th century. 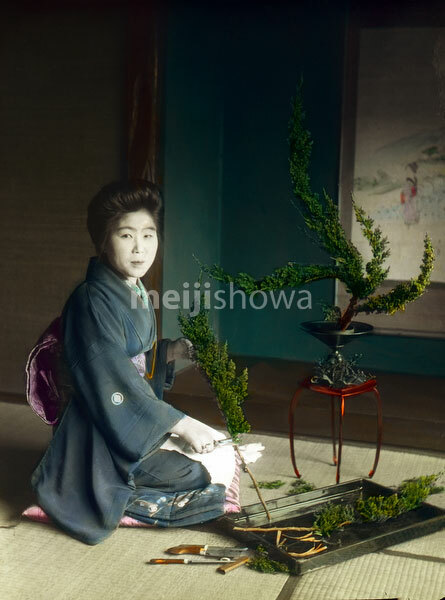 During the Meiji and Taisho periods, ikebana and chado (tea ceremony) were a popular way to culturally enlighten oneself, especially for young women on the threshold of marriage.